It’s Wednesday which means it’s time for another addition of Snag This Look. This week I’ve decided to mix it up a little bit. Instead of just picking one look and going with it I’m featuring a trend that has been popping up all over social media. 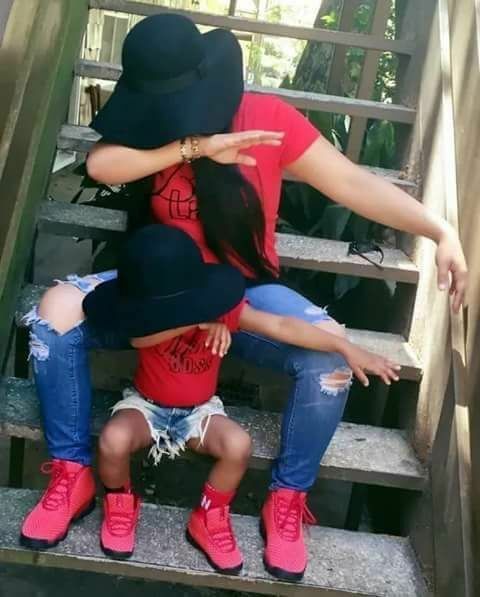 Today we are looking at some awesome Mommy and Me looks. I adore the Mommy and me looks. It’s gaining popularity among InstaMom’s and shows real promise of being a long standing trend. We can take a look at a few of the Mommy and me styles below. Matching shoes shirts and hats is adorable. This is another adorable look. I love the matching jeans and shirts and even matching necklaces. This is a fantastic look for Mommy and son. Casual and adorable with a bit of humor. When I decided to go on the search for casual Mommy and me style I first checked Etsy. 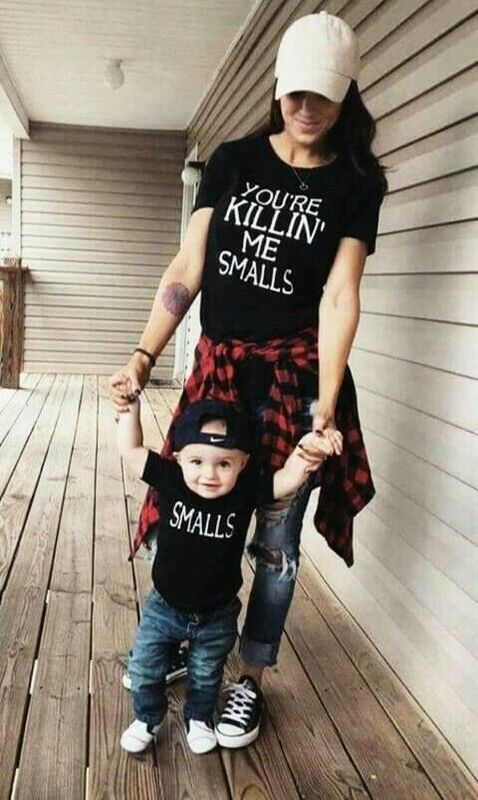 I found it to be a gold mine of designs for Mommy and me. I wish I had had these when Lucas was just a baby. Now as a toddler he is so independent and wants to walk everywhere. They grow up so fast. Check out my post Funny and Geeky Onesies for your Baby. This is a fantastic set for a mother and daughter duo. Wear matching jeans and white tennis shoes to complete the outfit. This is absolutely a shirt set for Lucas and me. I cannot start the day without my coffee. Lucas used to be so easy to put down for a nap, now as a toddler he doesn’t want to nap at all. Even though he absolutely needs it. Now us mom’s can proudly display our nap woes with this cute set. For more handmade goodness check out my post Handmade Items for Tiny Humans. When you are raising kids even taking a vacation can feel like a chore. I am a full supporter of the Mommy Vacay. It’s probably my adoration of Arizona on Grey’s Anatomy that caused a fondness of the term Tiny Human. This set is perfect for moms and their kids. I adore this set. When I showed it to Rob this morning he laughed and said it’s perfect for Lucas and I. I can try to feign innocence but this right here is absolutely true. If you are an always running late mom like me this set it perfect. Plus one look at your cute little reason for being late and no one will even care. Another great set for Mommy and daughter fashion. Let the world know where she gets her strength, class, and sass from with this amusing set. This set is purely adorable. Let the world know who your awesome little monster is. You’ll be sure to get a couple of chuckles from wearing these shirts together. This is a great set for all the Boss Mom’s and Momprenuers out there. I’ll be purchasing this set for Christmas for Lucas and I. It’s the perfect set for us. Pair any of these t-shirts with matching leggings, shorts, or jeans and make sure to take pictures. Post them on Instagram using the hashtags #MommyandMeStyle and tag me in. Pin this to your favorite fashion and kids boards. Make sure you follow me on Pinterest for awesome pins like this. 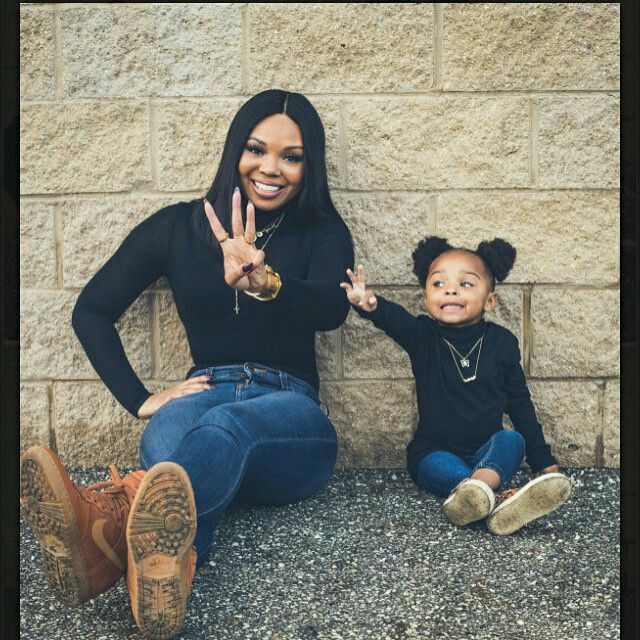 Leave a comment below letting me know what you think about Mommy and me style.